WHICH DENTAL NIGHT GUARD TYPE IS RIGHT FOR ME & WHAT IS A NIGHT GUARD MADE OF? So you’re faced with the decision to buy a custom fit night guard for your teeth grinding or jaw clenching habits. But which one? Should you go with the less expensive soft night guard? Or the dual laminated (soft interior/hard exterior)? Or the hard, thin acrylic type? What is the night guard material made out of? Most online companies are pretty vague about these product descriptions. Here we will attempt to give you a better understanding of the night guard you will be wearing + the pros & cons of each type so that you can make the right choice. Did you know that there have been a few studies suggesting that soft night guards actually encourage grinding? The argument here is that we innately want to chew on the soft plastic material. Now this theory has more substance if we’re talking about the soft store bought sleep guards like the Dentek Night Guard that you boil & bite to fit to your teeth. Because the Dentek night guard and other boil & bites alike are not true custom-fitted guards, there is a greater chance that the guard will slide or move around while you sleep. This action could entice the user to want to grind on the soft plastic device. We cannot stress enough that boiling & biting a mouth guard is not the same as having a custom fit night guard made for you. It’s the difference between having a pair of pants that are too big for you professionally tailored to fit & throwing the pants in the dryer hoping they will shrink a little. Let’s talk about the Hard Dental Night Guard. When you’re considering purchasing the hard night guard, you should first determine your grinding habits. Are you a heavy grinder? Do you already have occlusal damage/wear from grinding or clenching? Can your partner hear you grinding your teeth together at night? Do you have a lot of stress in your life that causes intense grinding? Hard night guards are known for their durability. They are mostly recommended for moderate to tough/heavy grinding habits. They also snap on and stay in place (remember the above mention about the increased chance of mobility found in some soft night guards?). Your night guard should stay secure on your teeth. Determine how severe your bruxism (teeth grinding) is. If you only grind sometimes and you feel like it is relatively light in intensity, a custom fitted (not over the counter boil & bite) soft night guard may be a better option for you. A trained dentist will be able to accurately determine the severity of your grinding habits. Some common complaints about the hard dental night guard often involve comfort. Some customers have said that the hard material is too tight or oppositely it comes loose. Some complain of hard (and even jagged) edges damaging the tongue or gums. These complaints are most often a consequence of a dental professionals lack of care/knowledge when fabricating the night appliance. It starts with a good dental impression. This is the first and most important step and should be taken very seriously. 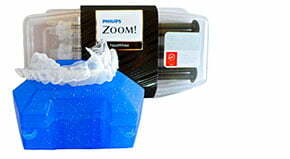 A clear and precise dental impression of your teeth will guarantee a perfect fit. The second complaint (the hard/jagged edges) can be prevented by a caring, detail oriented dental professional that will be careful not to extend the guard all the way to the margin (the gum line) and will use a high polishing technique to make every surface smooth and comfortable. Overall, most serious grinders prefer the hard acrylic stint option or the dual laminated guard as they are both tough, durable and excellent for keeping the teeth aligned properly. This type of guard takes a special machine that combines heat & pressure to fuse two layers together. Not all offices/companies can make this type of sleep guard. It has a thin, soft inside and a hard durable outside. The hard outside is made with the exact same hard material used to make the all over hard dental night guard. So you’re essentially getting the best of both worlds. Your teeth will feel comfortable against the soft gel-like inside & the hard outside will do it’s “knightly” duties to combat the effects of Bruxism. This little device is also extra durable. You will have to do some serious damage to grind through the two layers. One concern some people have about this particular custom appliance is that it may be too thick. Here at Sentinel Mouthguards, we give you the option to choose your own thickness. You can choose between 1mm, 2mm, or 3mm (3mm in soft type only). If you see a company boasting that their night guards are 3mm or more thick you may want to reconsider using them. 3mm+ is great for an athletic mouthguard (when you’re potentially taking hits to the face) but if you’re attempting to wear a thick night guard while you sleep, there’s a good chance it is going to end up on the other side of your bedroom in the morning. The soft .120 custom fitted night guard is the least expensive option (unless you go through a dentist). It can be purchased on our website for less than $100. Recently, we have added the “choose your thickness option”. 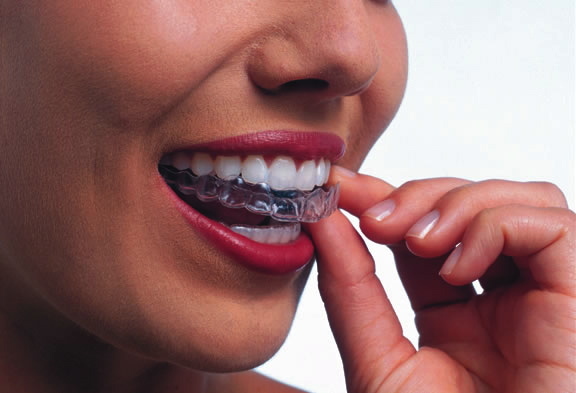 You can choose between a 1mm (for light bruxism), 2mm (moderate bruxism) or 3mm (heavy bruxism). The soft night guard is comfortable and highly effective in preventing jaw pain, soreness, teeth damage, and headaches. Now, it is said by dental professionals that these soft types do not typically last as long as the hard night guard or the dual laminated guard. Most companies end their warranty at about 6 months of use. However. HOWEVER. We’ll let you in on a little secret. These soft babies can last quite a long time. It really just depends on your grinding habits. If you’re a light to medium grinder, this may be the perfect solution for you. 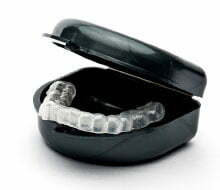 Make sure to keep yours very clean (daily cleanings) and dry and store it in its original retainer case. What is a night guard made out of? We can’t tell you that all night guards are created equal. Dentists and labs alike are allowed to choose where they purchase their materials and supplies. Material prices range and so does quality. Here at Sentinel, we use Proform material for all of our night guards. Time tested, this has proved to be an excellent high quality and durable material. Product Name: Proform NiteGuard Manufacturer: KEYSTONE INDUSTRIES. The night guard material is BPA free, Phthalate, Silicon & Latex free. -Material is not considered hazardous by OSHA per 29 CFR 1910. At Sentinel Mouthguard Co, we continuously strive to provide you with the most up to date, accurate information on all mouthguard related topics. We would love to get your feedback!